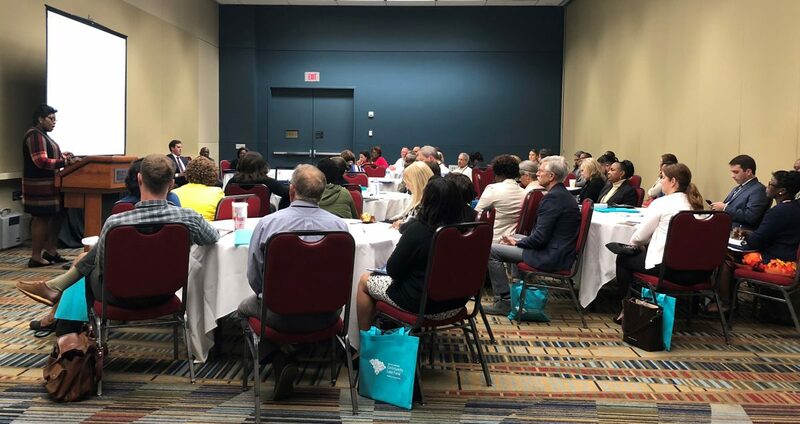 South Carolina Community Loan Fund invites you to share your knowledge and expertise by submitting a proposal to present a breakout session at the 2019 Investing in Community Summit. Through this event, we seek to create a network of individuals and organizations from across sectors who have the knowledge and tools needed to increase access to capital and community assets, and provide housing, food, essential services, and jobs in under-invested areas of South Carolina. We are seeking local, community-based presenters and storytellers representing diverse backgrounds, roles, responsibilities, and experiences serving underinvested communities across South Carolina. We strongly encourage submissions representing South Carolina’s diversity, including rural, suburban, and urban areas. All proposals must be submitted online at surveymonkey.com/r/2019SummitRFP. Proposals are due by 5:00 pm on Friday, June 14, 2019. Presenters will be notified of proposal status no later than Friday, July 12th, 2019. Read the full RFP for more information on the summit, session topics, and submission requirements.